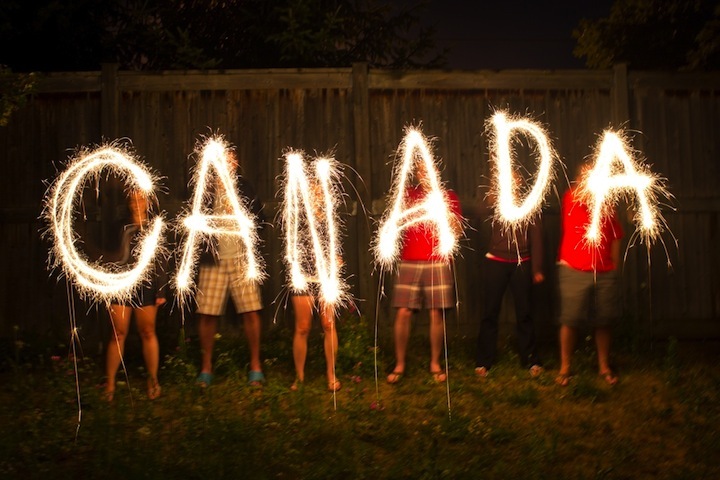 Wishing you all a very Happy Canada Day! The country that we live in is still a wee babe compared to some others but we’re big (real big actually), we’re friendly and we ARE hockey. Oh, and anymore for a magic carpet ride? Yep, who knew Steppenwolf was a Canuck? Strawberries are in season here in BC and there is nothing…NOTHING…that compares to strawberries grown right here where we live. They are succulent, juicy, sweet red jewels that we get the pleasure of enjoying a short time each summer. 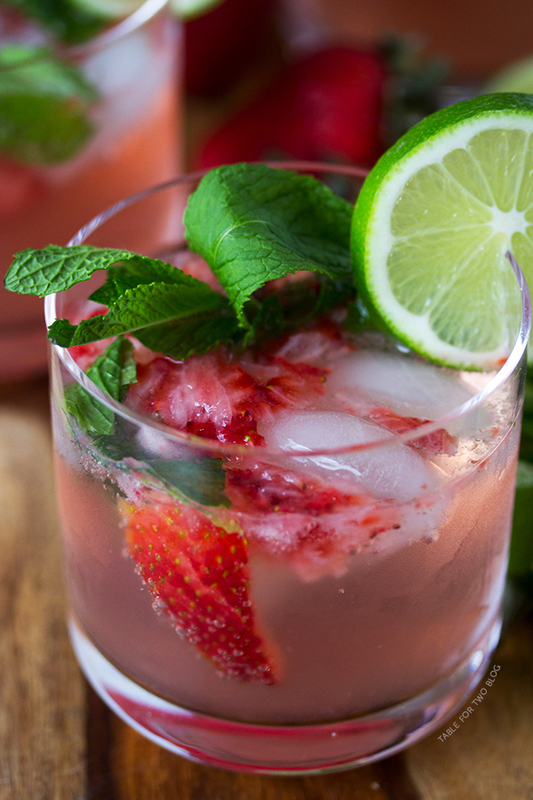 A Strawberry Mojito is the perfect drink to celebrate July Long…. we whipped them up this weekend at Scott’s 40th bday. Easy, yummy and clearly Canadian in appearance! Recipe adapted from A Table for Two (while i’m on the subject..do go check out this awesome food site…i’ll talk about the peanut butter cookie sandwiches i made from Julie’s site in an upcoming post! 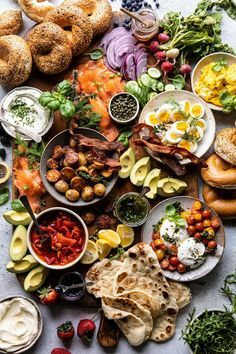 Yum!) 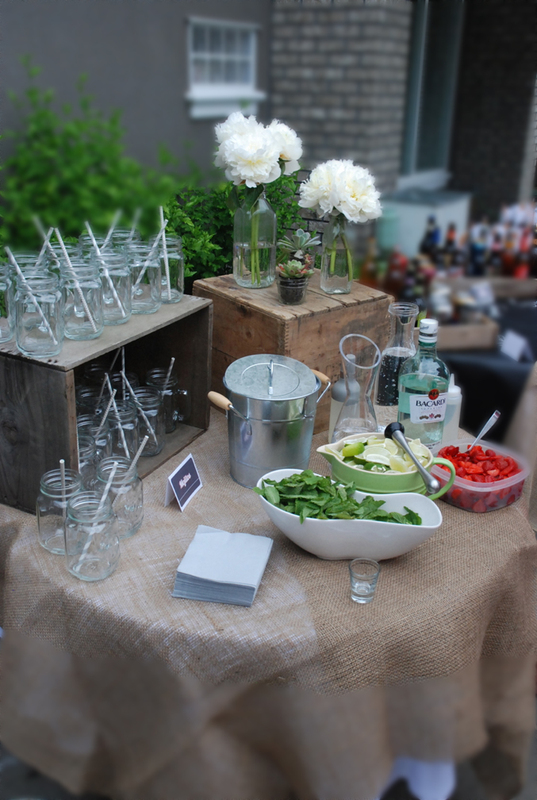 Optional: Serve non-alcoholic mojitos by omitting the rum and adding extra club soda. Take some time to enjoy a strawberry mojito this glorious day…. From the land of toques, double doubles, pop, loonies, twoonies, and Coffee Crisps, we wish you all a wonderful long weekend celebrating the True North..strong and free. We are so fortunate!